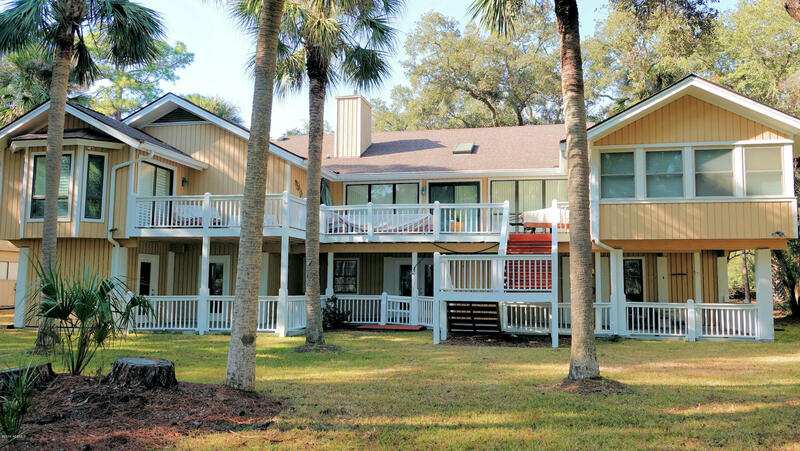 This 4+Bedroom, 3.5 Bath home, on the 7th Hole of Ocean Point Golf Course, is THE ideal house for a large family or rental home and it is located just minutes from the beach, just a bicycle, or golf cart ride away. Adjoining study/sitting room with a sleep sofa and crib connected to the master bedroom. Vaulted Ceilings, Sky Lights. Next to the family room, is another sleeping space/Carolina room. The downstairs recreation room has two adjoining bunk bed rooms and a half bath. Upstairs, a large eat-in kitchen with new appliances in 2016. Living/dining room area, with fireplace, and TV room are connected to the back deck that provides several outside eating areas overlooking a wide backyard for watching golfers or children's play.